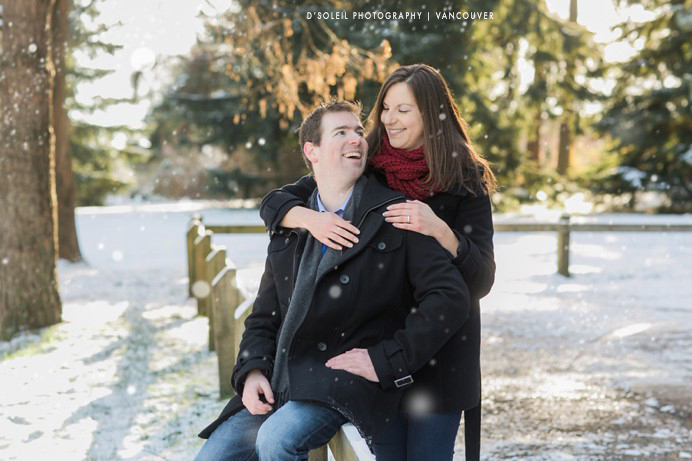 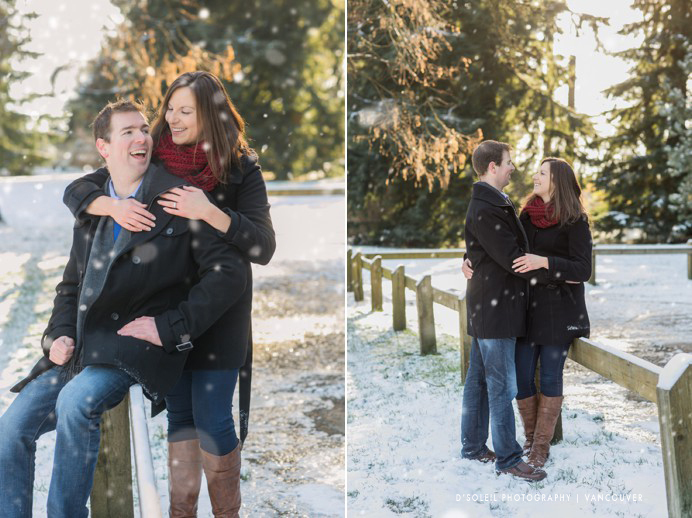 Before the first snowfall of Autumn came to Metro Vancouver this year, we had a number of bright sunny days in late November, so rather than risk waiting later into the winter for engagement photos, we pulled the trigger on snow engagement photos in New Westminster with Lisa + Jeff. 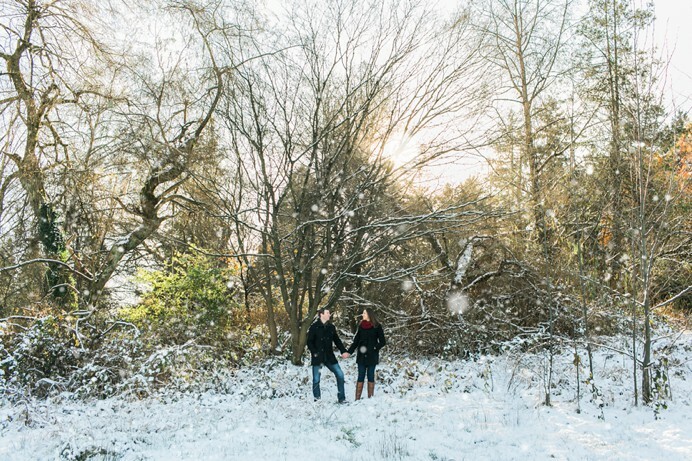 We had only planned the sessions a few days prior, and there was no snow anywhere, but a couple of days before the engagement photos, it began to snow…a lot. 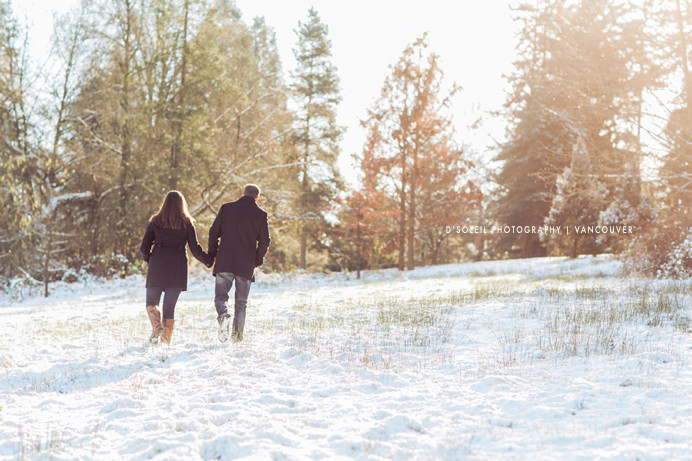 Fortunately for us, the daylight hours remained sunny and warm. 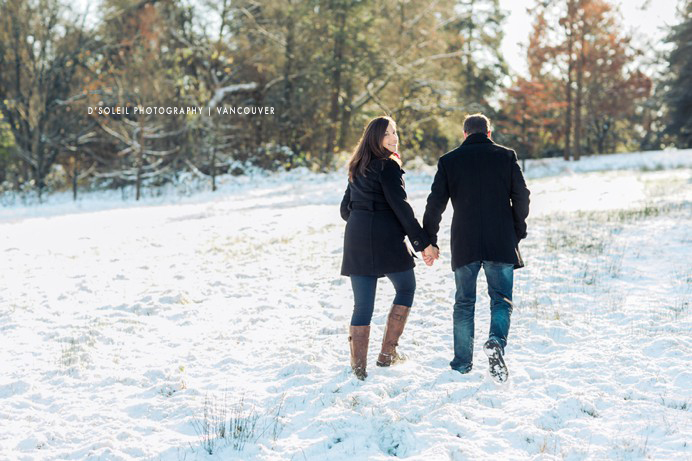 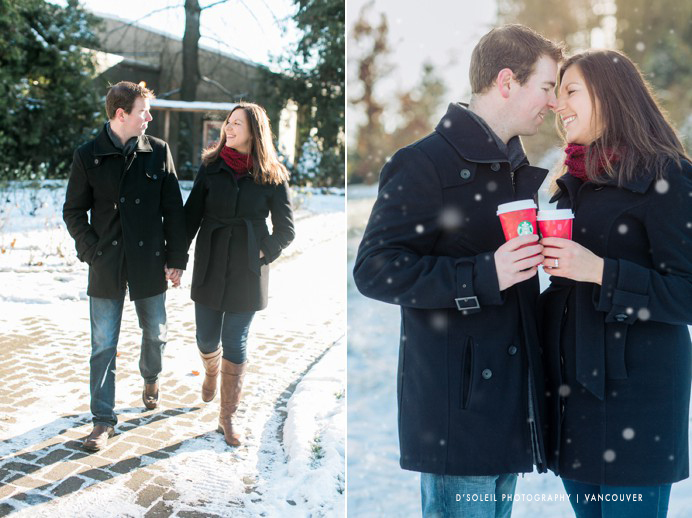 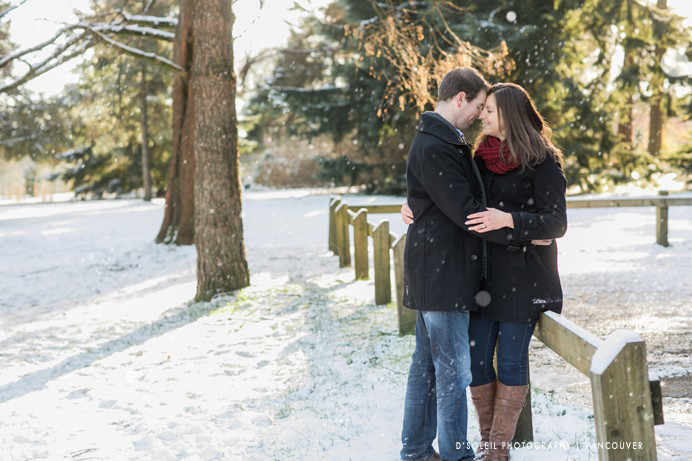 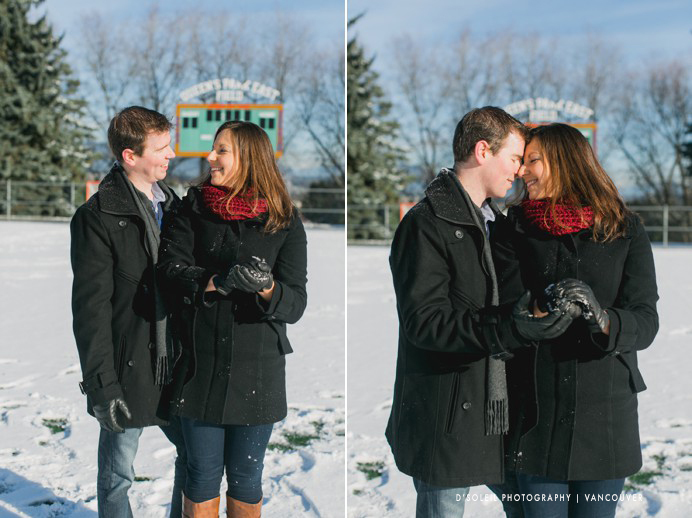 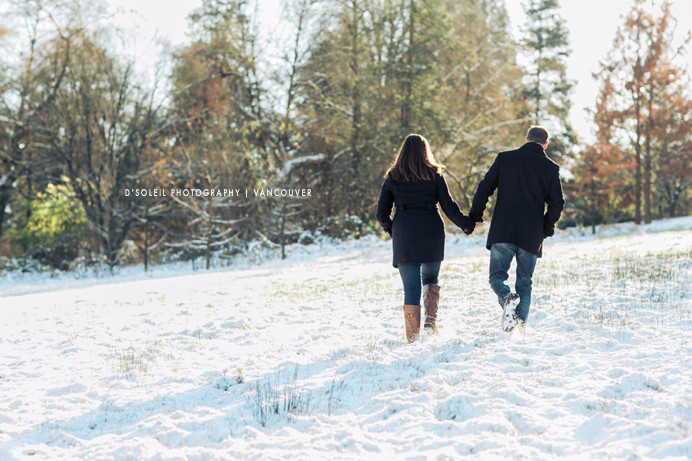 So on one sunny weekend morning, we made a trip to Queens Park in New Westminster for snowy engagement photos. 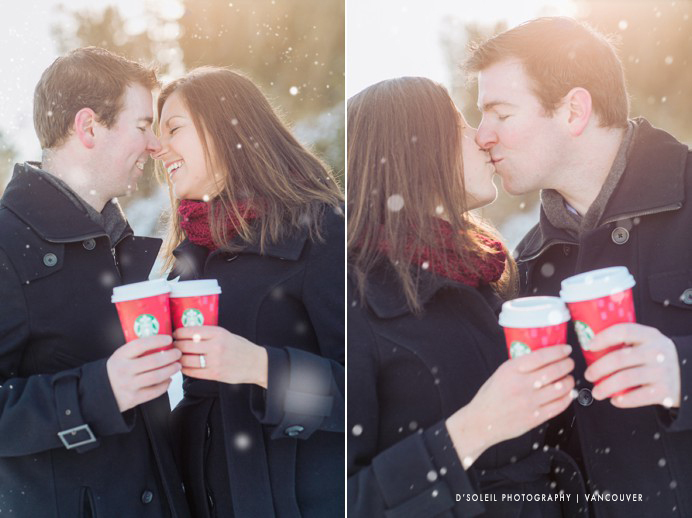 Thank you Starbucks for keeping them warm! 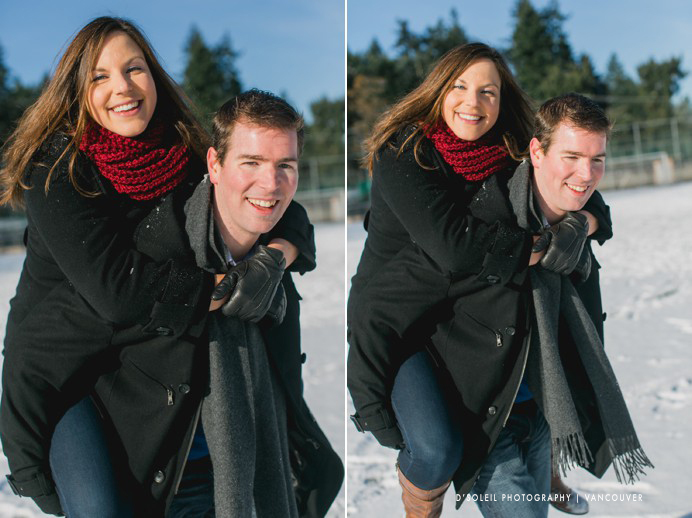 Congratulations Lisa + Jeff, see you at the wedding!